The second North London derby of the season is upon us, with Arsenal looking to mark their territory and land another punch while Tottenham is a wounded animal, looking to claw its pride back. The occassion is a knockout tournament in the EFL trophy. Arsenal are facing an injury crisis at the back while Spurs are buzzing with big wins and a once unlikely Round of 16 place in the Champions league secured. 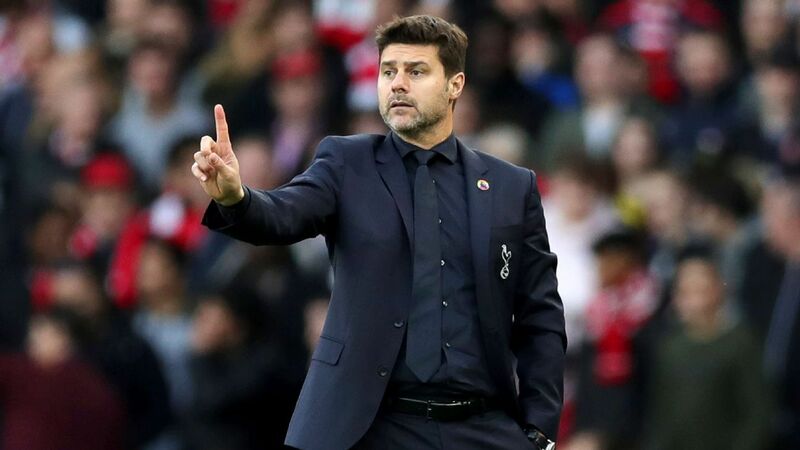 With Arsenal losing for the first time in 4 months last weekend at Southampton, Unai Emery will be asking for a response from his players, while Spurs have arguably gone and conquered bigger teams at bigger stadiums, thus making it an exciting prospect. "Our first idea is that we play with the best players that we can use tomorrow in this derby. We can use some young players because we think with a big performance, they can help us win tomorrow. Sunday for us is a big reality check in our way. We need to improve and also we need to continue doing our way in our process. It’s not a good result but this reality gives us more motivation to continue to work hard, finding a new thing to work on each day, and also it makes us demand a lot from ourselves in the way we work on this way. When you win it’s amazing, when you lose it’s horrible. Respect is very important. We can show this emotion with respect when we are playing but also when they scored against us, they can show their emotion with their supporters. But with respect. We need to show this emotion when we are playing, when we are winning, because I think football needs this passion. I say to my players that in every match, we need to respect the opposition. Against Southampton, against Tottenham, against Manchester United, against Huddersfield, it’s the same. This respect is by playing with a big motivation and a lot of excitement to win against them. We must respect this emotion in every moment. The emotion is not bad. I think showing our emotion, the players, the fans and me, is good. But every time we must respect them." "You always need to approach a derby in the same way, and that’s to think you can win because another result is bad for you. We are confident that we can fight and compete at our best. The circumstances are not the best for us because we’re competing in the last few months in competitive, must-win games. That is why we are here trying to give our best, competing at a high level and trying provide the club with the best results. It’s going to be tough but we are going there to try to win. It is an important game but it will be a different game to a few weeks ago. All the teams are going to do many rotations but maybe I'll surprise you and not rotate too much. We were talking with players about winning the EFL Cup and it would be fantastic. Win a cup like this and the people will give us the value of what we are doing. It's true that it is also about perception and it means a lot, one trophy. We are going to try and win at Arsenal. In every single season we try. In the first season we played in the final against Chelsea but lose. We also played the semi-final against Manchester United. Always we lose the possibility with big side. We try and only we need some luck. We are going to try again this season to win something."